 All occupants of The Well building are encouraged to take part in the yoga classes in the chill room, led by a qualified yoga instructor. Yoga practice improves physical fitness and overall health, increases energy and reduces stress. 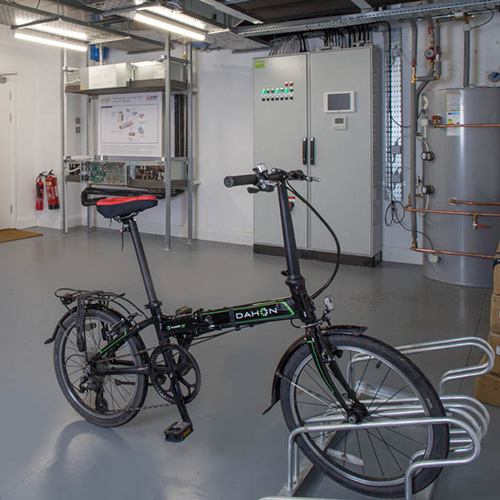 The provision of internal bike storage, shower facilities, staff lockers and energy efficient clothes drying facilities has made The Well building cyclist friendly. This has led to an increase in staff cycling to work. 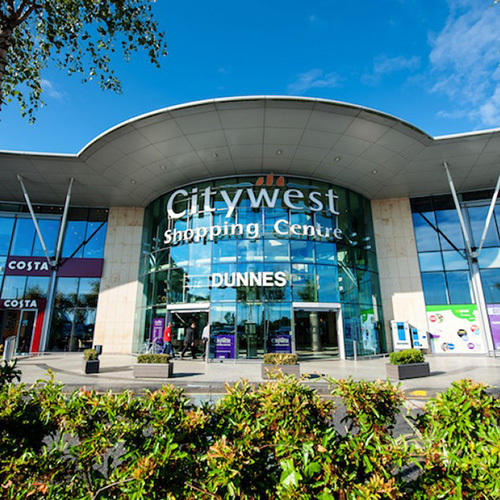 The Well building is within walking distance of retail shops, cafes, bus and Luas stops. Staff are encouraged to take a walk at lunchtime and to utilise public transport where possible. 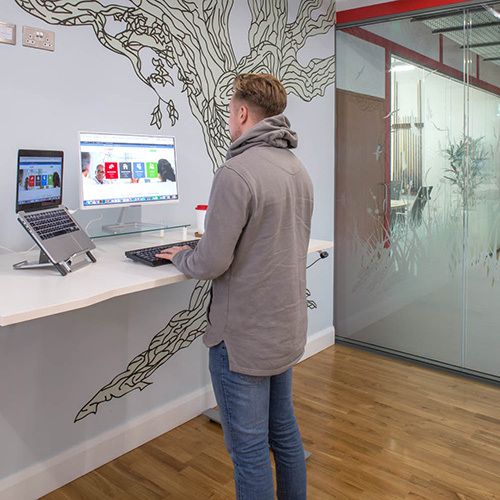 A height adjustable standing desk has been provided to give staff the option of working standing up at intervals throughout they day. We wanted to create a building that could help Sirus and EazySAFE to flourish, not just to exist. Studies have shown that that happier employees are more productive in the workplace. 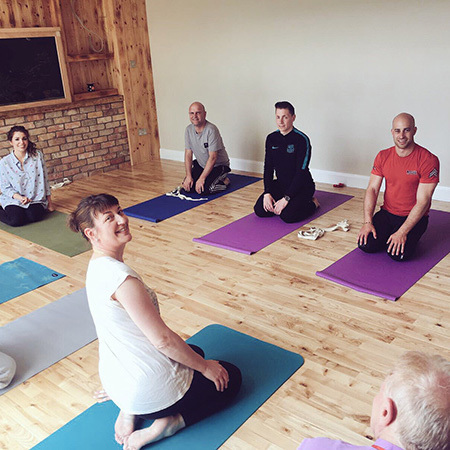 Since healthy employees make for happy employees, it is very important to make sure that the actual internal environment of the building where they spend most of their time is healthy.